It’s that time again. Every October and April, thousands of people in the furniture biz descend on High Point, NC for the semi-annual furniture market. I’m embarrassed to say that I’ve only been one time. And I realize that you may be thinking, well, how on earth does she know where to get stuff? It has evolved over time, but through social media, e-commerce, advertising and even word of mouth, I have gathered a wide variety of wonderful sources. In addition, I do go regularly to the New York Now Show and most recently to Americasmart in Atlanta. In addition, years ago, while designers were certainly welcome at the market, there were few vendors that we could buy directly from unless we placed outrageous untouchable opening orders. That, fortunately has changed. And not only that. Interior designers are actually revered at the market these days. Each season, several are selected to be “style spotters” and/or give seminars. 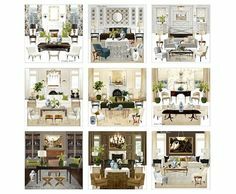 More and more interior designers such as Mary McDonald, Alexa Hampton, Suzanne Kasler, etc. are now licensing their designs with the big furniture manufacturers. I have also supplemented images from the market with some photos from the manufacturers, themselves. I have noticed that the style spotters tend to deem stylish some things that well… not to be TOO arrogant, LOL, I just don’t think are anything I would ever specify for a client. It’s not that they are bad, they are just not my style. Still, I love lots of different things and while I may not absolutely adore everything I’m posting, I can appreciate it. Therefore, I’m including a variety of pieces. This is what was trending at the High Point Furniture Market Fall 2014. One thing I need to say right now. Things don’t change DRASTICALLY in 6 months. They really don’t. In fact, I’ve seen some manufacturers use pretty much the same vignettes for a few seasons and they change out some of the pieces. That works. Here’s one example from Mr. and Mrs. Howard [aka: Phoebe and Jim or James Michael] from two years ago for the fabulous collection for Sherrill Furniture. You’ll see the same fireplace and sconces recycled this year on the Style Beat Blog. But hey, why not, they are gorgeous! A beautiful collage of images from Worlds Away. This is an amazing company which has grown exponentially each season and always manages to keep their line looking fresh and like something you need to have. One of the reasons I like it, is that their classic contemporary pieces look great in neo-traditional settings. As a matter of fact, I just ordered this fabulous mirror for the Bronxville Media Room. I love the lines of the Thomas occasional chair. Not sure I’m fond of the two-tone upholstery. But did you know? Any exposed wood parts on all CR Laine pieces can be custom-painted in any Benjamin Moore color? How cool is that? This lovely sofa is like Jean-Michel Frank meets an English roll-arm. Wonderful lines! I am grateful for any new furnishings that do not have T-Rex proportions. As stated here, I think it’s a trend that will make you blush with embarrassment in a few years. I could see this sofa in a slip cover, too. While CR Laine does make some slip covers for a few of their pieces, they do not make custom slip covers. However, that doesn’t mean that one can’t do it after the fact. It kind of reminds me of this wonderful chair by Lee Industries which is not new, but exceedingly classic! This is a part of their new fabulous Dorothy Draper Collection. Alright, this isn’t a brand new introduction, the colors in this gorgeous Serapi rug are totally in sync with today’s trends. 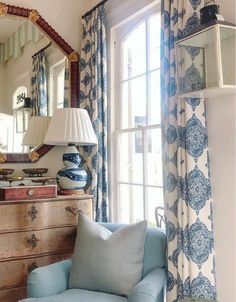 Fabulous vignette by Jeanne Chung of the Cozy Stylish Chic Blog which also has a lot of other wonderful images not posted here. Ginko Sconce from Currey & Co.
Another incredible room by Alexa Hampton for Hickory Chair found in Style Beat. Love this new coffee table from Noir Furniture. You could also take the pieces apart to make two or three coffee tables! Beaded chandeliers are still all the rage. This is a new piece from Noir Furniture. This bed found on Style Beat is a hot ticket at Heritage Home Group, which is a consortium of some big manufacturers. It is a growing trend that manufacturers are grouping themselves together to save costs. Wish the school districts in our county would do that, but……………..
Mitzi Beach one of our interior designer style spotters found this fabulous bench which is part of the new Winterthur Collection at Currey & Co. In fact, it’s so new, that they don’t yet have the collection up! Meredith Heron, one of my fave interior designers spotted this banquette. And Melissa Marcantonio spotted the same one but in different fabric from Pearson Furniture. What a fabulous piece to use for a dining area, OR in a room where space is tight. I could see it in a library or even in a living room in a corner. A word of caution however, about banquettes. IF you are eating on a banquette, please realize that whatever falls on the floor, is also going to fall on your expensive seat. Therefore, I would either use a fabric that can be matte laminated or else something that can take a beating such as an indoor/outdoor fabric. This is a wonderful console table from Gabby Home which I saw last summer at Americasmart but didn’t include in my photos because it didn’t come out so well. But it’s very, very cool and reasonably priced! from Cotton and Quill’s website! 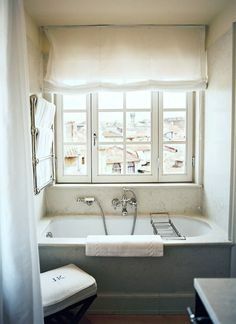 What a pretty room. I need to check them out! A new side table from Noir Furniture. I could see this as a handsome night table or in a variety of rooms. And ending, with perhaps, not the most glamorous of images, but a preview of things to come. The amazing interior designer/coach/blogger/mom/— Tobi Fairley is ALSO creating a brand new line for CR Laine which will be debuting at the High Point Market Spring 2015. [another great reason to go next spring!] These are the current Chloe Chairs upholstered in a fabulous Chinoiserie fabric for the new Bistro that Tobi designed in Black, White and Kelly Green which is still obviously a hot color. I couldn’t find any decent photos of that space but I’m sure it’s fabulous! I am cooking up a new series that I think y’all are going to love! Thanks for the lovely comment Kelly. Well, where I live, red never left! Largely quite trad around these parts. Most of this would be considered quite avant garde! 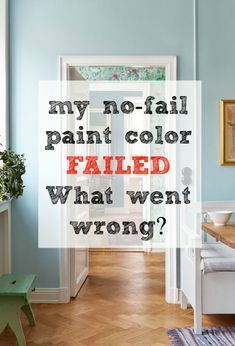 oh well… However, most of my clients are going more neutral/gray/blue. It’s so funny, when I pin images, I can predict with about 90% certainty the ones that will be repinned frequently. They are either light and/or feature gray and/or blue. Without fail. Great post.. Loved the colors. I posted by blog today also but do not have comments on my blog .